Ah, June. June is typically a busy month – it's the beginning of summer, and also the beginning of the summer travel season. This June was no exception; between various trips, I only spent 6 days at home this month! Despite that, though, June was a great month. 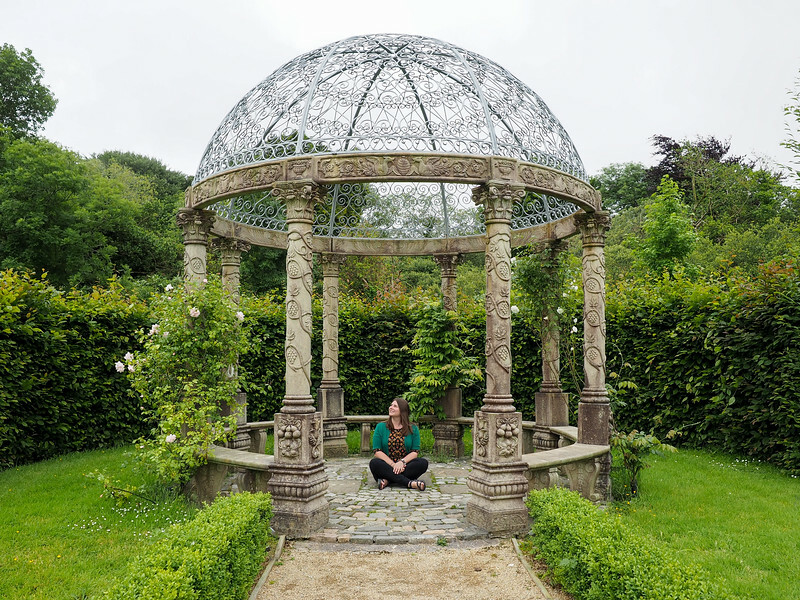 I didn't really feel overwhelmed or burnt out by my travels, which is something I sometimes struggle with (the work-life balance for a travel blogger is tough, guys!). And I got to have some great adventures! Like I mentioned, I was traveling almost the entire month of June. I wrapped up Bloghouse in Memphis, headed to Nashville for a weekend, spent two weeks traveling around Ireland and Scotland with my mom and sister, and then headed down to London for a week. Trains taken: 3; I love train travel in the UK! The best thing I ate: I had some really delicious food in Tennessee, but I think the designation here has to go to afternoon tea in London. 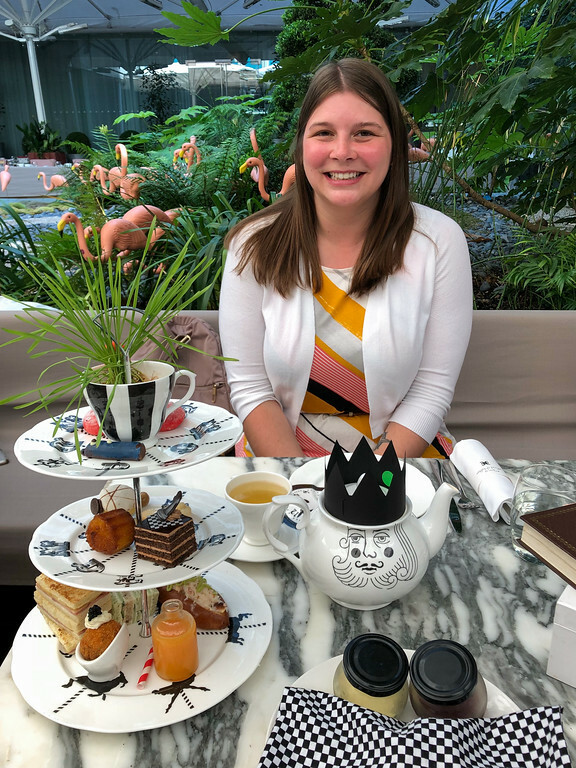 I decided to book as many themed afternoon teas as I could in London – which ended up being 5 in 6 days! And all of them included tiny sandwiches, tasty scones, and way more sweet treats than I needed to eat. Stay tuned this month for a full post about these to find out which one was my favorite! The most epic thing I did: This one is tough since I did so much in June! It either has to be seeing Carrie Underwood at the Grand Ole Opry in Nashville, or staying overnight in a castle in Ireland. Both were super memorable! Finally visiting Nashville – Nashville has been a HUGE oversight of mine when it comes to cities in the US, but I finally visited for a few days in June! And, to no one's surprise, I LOVED Nashville. I loved the vibe and the food and even all the music, despite not being a country fan. I'm already planning another trip for this winter! Road tripping around Ireland – In mid-June, I headed to Ireland with my mom and sister for a weeklong road trip around the Emerald Isle. Even though driving on some of Ireland's tiny roads was terrifying, we had a great trip. We didn't try to pack too much in, and saw some parts of Ireland I'd never visited before. Highlights included having tea at Ashford Castle, touring the House of Waterford crystal factory, soaking up Titanic history in Cobh, and exploring Killarney National Park. Staying overnight in a castle – In Ireland, we also stayed overnight at Ballyseede Castle in Tralee. This was definitely a highlight, with the castle's beautiful rooms, resident Irish wolfhounds, and tasty breakfast. We found out later that we also stayed in the room of the castle's resident ghost! Climbing the Scott Monument in Edinburgh – Even though I've been to Scotland 5 or 6 times now, I did something I'd never done in Edinburgh before: while my mom and sister went shopping for Scottish yarn, I climbed the 287 steps to the top of the Scott Monument for some amazing views out over the city! Going on an Outlander tour in Scotland – The real reason we went to Scotland was to go on a 3-day Outlander tour through the Scottish Highlands. Both my mom and I are big Outlander fans (yes, we've read all the books, too! ), and our tour with Highland Explorer Tours was definitely the highlight of our entire trip for my mom. Being a Tolkien nerd in Oxford – After my mom and sister went home, I took the train down to London for the next week. The inspiration for this was an exhibit currently on in Oxford that's all about JRR Tolkien, the creator of Middle Earth and all things hobbit-y. I went to Oxford for a day to see the exhibit, which consists of tons of Tolkien's drawings, maps, notes, and more related to The Hobbit and Lord of the Rings. Going to alllllllll the afternoon teas in London – And, like I mentioned earlier, my other mission in London was to go to as many themed afternoon teas as possible. I went to an Alice in Wonderland tea, a Sherlock Holmes tea, a Harry Potter-inspired tea, a Willy Wonka tea, and a tea on a double decker bus. And even though I don't need to eat another scone for a while, I had fun going to all of these! The HEAT – June was a hot month in several of the places I traveled. I didn't even want to go outside in Memphis because of the heat and humidity, and London was going through a crazy heatwave the entire time I was there. Usually sun and warmth in London would be awesome, but it's decidedly less awesome when you need to take the Tube everywhere and then you remember that most of London's Underground lines lack air conditioning. In fact, most places in London lack air conditioning! I arrived at most of my afternoon teas hot and sweaty. Getting a ginormous rental car in Ireland – This one's not a huge deal, really, but I was persuaded in Ireland to upgrade our rental car to one with a built-in GPS. I wanted a GPS – but I didn't really want the huge station wagon that came along with it! Everything in Ireland is tiny, from its roads to its parking spaces, so driving around a car larger than the one I have at home (in a country where you drive on the opposite side of the road, no less) was definitely a challenge! We survived just fine, but I complained about the size of the car daily. Once again, June was a light month on the blog. But traffic-wise it was a great month! Most popular post: Getting a Taste of Music History in Nashville – Even though I'm not a huge country music fan, I LOVED learning about all the music history in Nashville. This post lists all the music-related sites that you'll want to visit in Music City. I won’t lie to you guys: I added the town of Cobh, Ireland, to our road trip itinerary solely because I had seen a photo similar to this one on Instagram and wanted to see it for myself. Yup, this Millennial is often influenced by other influencers! ? What those other influencers don’t usually tell you, though, is that this view is sort of “hidden” behind a stone wall on Spy Hill, and that you have to hold your camera up above it to take this shot. BUT, it still is pretty awesome. ? The good news is that the rest of Cobh is equally adorable – it took me less than 5 minutes to fall completely in love, and I’m so glad we spent a night here! The city has an interesting history (it’s always been an important port, and has ties to two major shipwrecks: the Titanic and the Lusitania), and lots of colorful architecture like these houses. ? Have you ever visited a place because you were inspired by seeing a photo of it? Most popular Facebook post: My tribute to Anthony Bourdain (RIP) really seemed to resonate with people. On a lighter note, you guys enjoyed telling me about your “travel happy places,” and seeing me pose in a hairy coo hat with a hairy coo. June was a pretty good month business-wise. I had a couple fun projects (like Bloghouse and a short campaign I did with the Grand Ole Opry in Nashville), and managed to pull in a tidy sum of money even though I was traveling all but 6 days this month. Having my best month ever on Mediavine! Mediavine is the advertising network that serves up ads on this website. I absolutely love working with them, because they are a company that truly wants to see their publishers succeed. And, even though I won't get the payout for it until September, I had a record ad revenue month in June. I know not everyone loves seeing ads on travel blogs, but the way I look at it, it's the best way for me to get paid for all the hours I put into this site to provide 100% free content. Plus more revenue means I can take even cooler trips that I don't have to rely on sponsors for! Spending more time on Lake Erie – I'll be heading up to Cleveland a few times this month for various things (including going to see the Infinity Mirrors exhibit at the Cleveland Museum of Art – yay! ), and Elliot and I also may go to Sandusky for their Festival of Sail in the middle of the month. HAMILTON – I FINALLY managed to get tickets to see the touring show of Hamilton in Cleveland later this month. Elliot and I already know the whole soundtrack, so it's going to be awesome to finally see the show! A manly weekend in Columbus – Columbus makes for an easy weekend trip from where we live, so Elliot and I are planning a fun weekend there later this month. We're going to do all sorts of “manly” things, like a falconry class, ax throwing, and going to a distillery. It should be fun! And remember that you can follow along in real-time with all of these adventures through my IG Stories on Instagram! I had a jam-packed travel month like this in May, so I’m sure you’re like me and are ready for some time at home and with your hubby. Also, I’m suuuuper jealous of your Hamilton tix. My husband and I are fairly close to having all the lyrics memorized. Yes, I’m really glad to be home for the next month or so! I always like being home in the summer, though – there’s always so much going on! Excited to see the new site design! Also, I live in Columbus (hi!) and I had no idea you could take falconry classes here. I guess I need to be better about traveling in my own backyard? Anyway, cheers to what sounds like a super successful month! Yes!! It’s called the Ohio School of Falconry, and we definitely want to check it out! I might be in Columbus in July, too. However, it seems unlikely I will be doing manly things. It’s more likely I’ll be visiting family and doctors, hahaha! Haha, we were talking about the falconry school and going to a distillery, and then my husband found this place that does ax throwing… so I declared it will be our “manly weekend” in Columbus! I visited the Scott Monument while in Edinburgh in 2016. The view from the top is awesome! I took a few photos of the interior too. When I went to London in May, I had an afternoon tea with the champagne upgrade in the Park Room at the Grosvenor House Hotel. For that month, they had a royalty themed tea to celebrate the wedding of the Duke and Duchess of Sussex. Definitely a highlight of my 2nd visit to London! I lucked out with such good weather on the day I climbed the Scott Monument, too! And a Royal tea in London sounds fun! There were far more themed ones than I realized once I started doing a bit of research! I have lived in Edinburgh and I never went up the Scott Monument! Ha, maybe I should one day. I would love to see Hamilton. I was so thrilled they were going to London – which is close to the Netherlands – but tickets are almost completely sold out already… I’ll have to wait my turn! 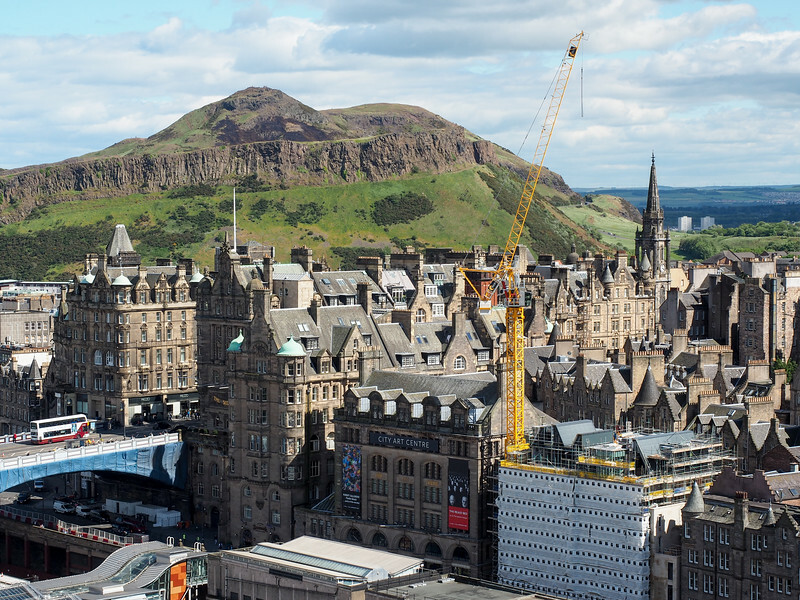 The Scott Monument views are definitely worth it, especially on a nice day! And yeah, it’s been tough getting Hamilton tickets, so I’m so glad we finally did! So excited to read that you snagged tickets for the mirror exhibit at The Cleveland Museum of Art. I totally stalked the ticket release and bought mine. Can’t wait to read and see your reviews on it afterwards! YES! I’m excited for that, too! I’ll definitely be sharing what I can from it on social media! What a fun month! Hopefully I get to cross paths with you when you’re back in the winter (sorry it didn’t work out on this visit). Funny enough my next trip is to your state! Columbus, not Cleveland, though. A great post Amanda! I especially liked the themed teatime, I’ll make sure to try them when I visit! The themed teas were so fun! I’m looking forward to writing about them all! 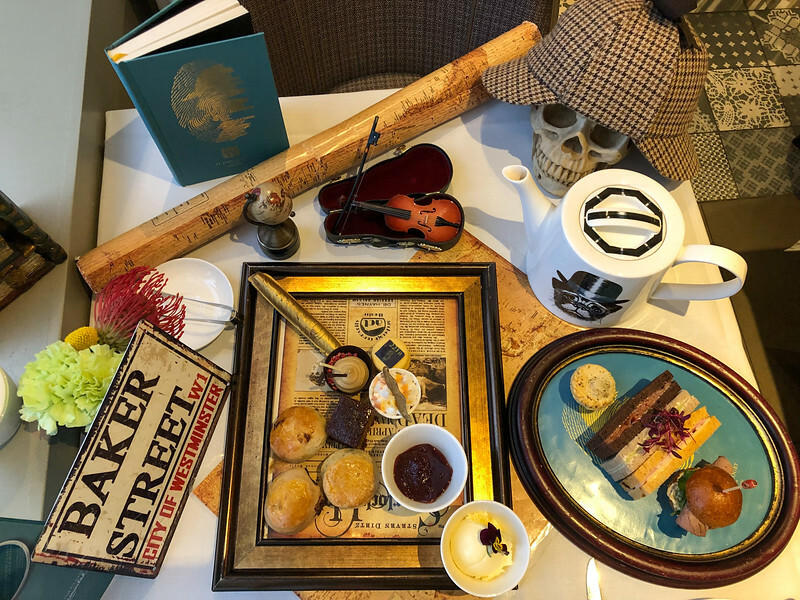 That Sherlock Holmes afternoon tea looks AMAZING!!! I saw Lauren’s photo from the Harry Potter one and that looked like a lot of fun, too! I really hope that Tolkien exhibition is on for a while, I wanna go! And FINALLY someone has climbed Scott Monument! It’s been on my list for years, and whenever I mention it to anyone, including people that live there or have been there way more times than me, not a single person I know has done it! So it’s good to know it’s actually worth doing, haha! Thanks, by the way, for acknowledging that a heatwave in the UK is far less bearable because of the lack of air con, I’m sick of people going “well it’s 45 degrees here so get over it” haha. I can’t wait to write more about the afternoon teas – they were all so fun (and some of them were super impressive with how on-theme they were!). The Scott Monument is definitely worth the admission price and all the steps! Though I’d probably only do it if you have a nice day, since when it’s clear you can see for miles! And yeah, a heatwave in the UK is no joke! I got far more sweaty every day than I ever though I could in London. Hahaha. What a great month! My husband and I are heading to Scotland this December and it’s a new country for both of us, so we can’t wait! 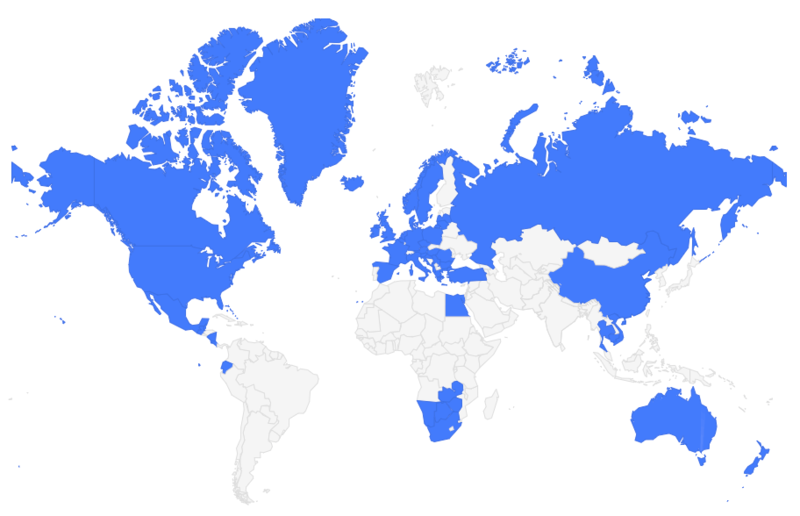 It seems to be a country that you can’t visit just once! Lol. Everyone I know who has gone there, has visited at least twice, haha. I grew up about an hour from Columbus. If you get the chance, you should check out Stauf’s Coffee, they have a few locations, and it’s a great vibe (and delicious drinks). Thanks for the coffee rec for Columbus! And yes, Scotland is certainly one of those places for me that I just can’t get enough of! What an interesting month you’ve had! p.s. I like the new look of your blog – fresh and fun! Thanks! The new design literally just went live today!